We accept most major insurance plans. Our facility charge covers your pre-operative evaluation, most supplies and medications, equipment, personnel and the use of the operating and recovery room. 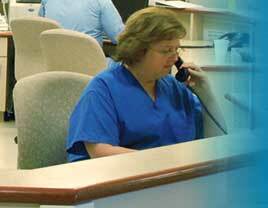 Our business office will call prior to surgery and verify your medical benefits for our facility charge. We will secure any information regarding co-payments, co-insurance and/or deductible amounts that will be your responsibility. If you have any questions regarding your coverage, you may contact your insurance carrier or our business office. Anesthesia, if you received anesthesia or it was necessary for an anesthesiologist to be available for your surgery. Laboratory tests required before, during or after your surgery. Pathology, if tissues or specimens were removed during surgery. Any questions regarding these services should be directed to their respective billing offices.